File Photo - Iranian revolutionary guard corps chant slogans during Friday prayers in Tehran May 26, 2006. 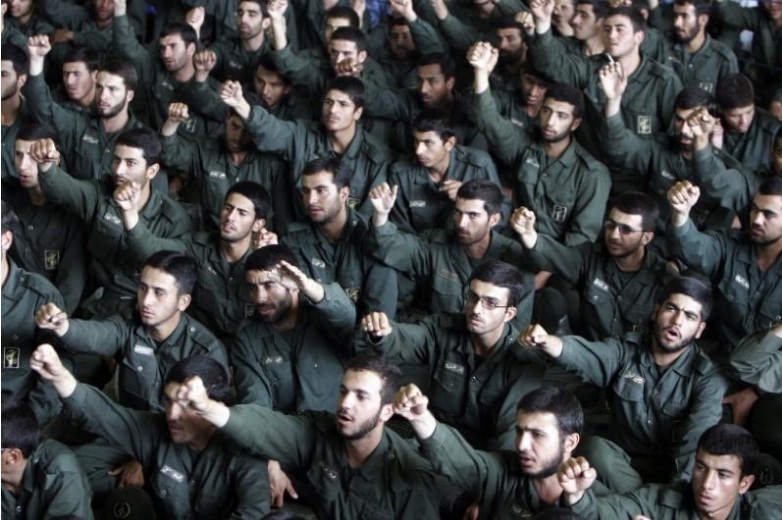 DUBAI - Iran will consider the U.S. army equivalent to the Islamic State militant group if Washington designates its Revolutionary Guards Corps a terrorist group, Iran’s Tasnim news agency reported the Guards’ commander as saying on Sunday. The news agency reported Mohammad Ali Jafari as adding that the United States was mistaken if it thought it could pressure Iran into negotiating on regional issues. President Donald Trump will announce new U.S. responses to Iran’s missile tests, support for “terrorism” and cyber operations as part of his new Iran strategy, the White House said on Friday. Iran will consider the U.S. army equivalent to the Islamic State militant group if Washington designates its Revolutionary Guards Corps a terrorist group, Iran’s Tasnim news agency reported the Guards’ commander as saying on Sunday.